Join us as we welcome back Luca for this challenging, yet fun and lighthearted workshop! After moving through a sweaty vinyasa flow to warm the body up, we will then begin to explore deepening twists, securing binds and stabilizing balances in steps to give you tools to move at your own pace! 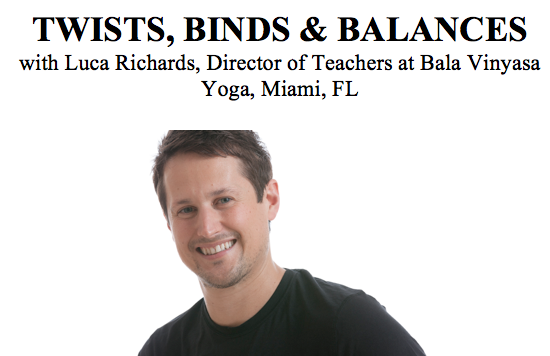 Practitioners at all levels of practice – including beginners are welcome to attend!